We are very happy to offer hot lunches for all students. Please allow at least two days advance notice for any last minute meals. Click on the following link to download and complete the form. 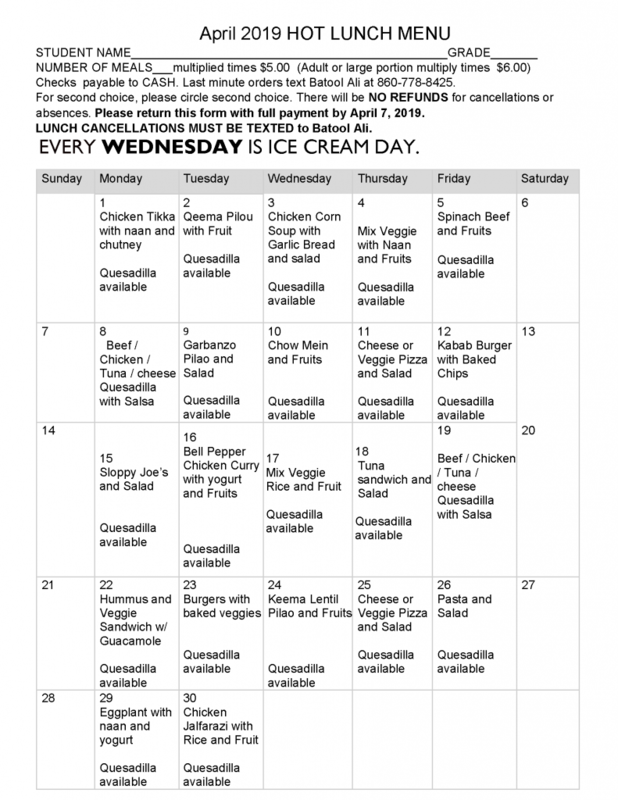 Click below for the Hot Lunch Menu and Order Form.